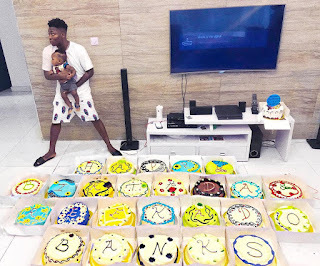 Music artiste Reekado Banks celebrates birthday with 25 cakes! Reekado's birthday is today and he says his family showed up with 25 cakes! Wow! We guess someone wanted to make a statement lol..Need a bit of sugar rush? well you know where to go,I am sure Banks would be feeding his guests cake for months! lol..